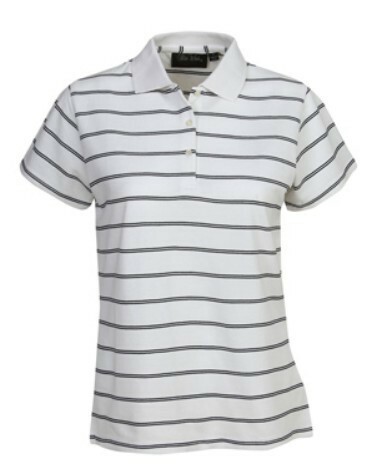 The striped cotton pique polo, for ladies, is the quintessential convertible wear, that translates to casual daytime and professional occasions. 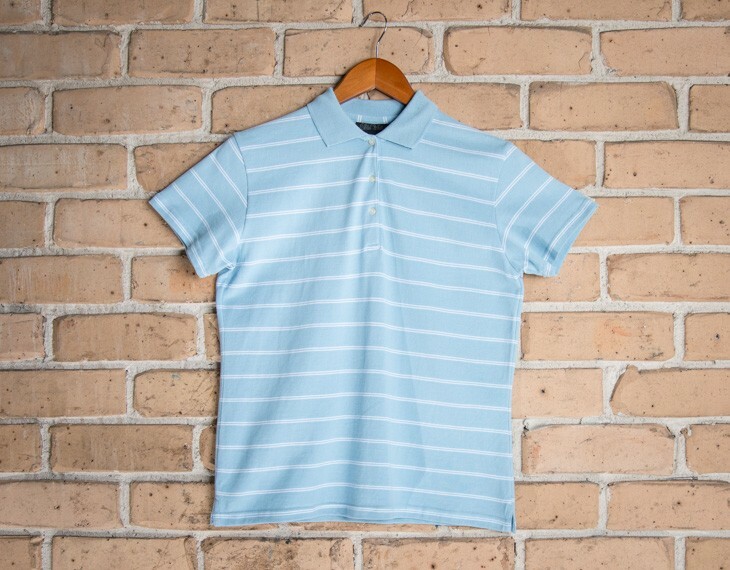 It is considered to be the appealing counterpart of the classic P21, which is also woven from 40s 2 ply yarn dyed cotton, which exudes refreshing softness, and a surprising degree of both ventilation and durability, as well. Sizing options range from size 8 to size 18, suiting the sinuous lines of curvy figures, and the sleek silhouettes of slimmer figures. This fabric is endowed with 100% cotton, and its weatherproof features allow versatility of wear in a number of different temperatures and climatic conditions. 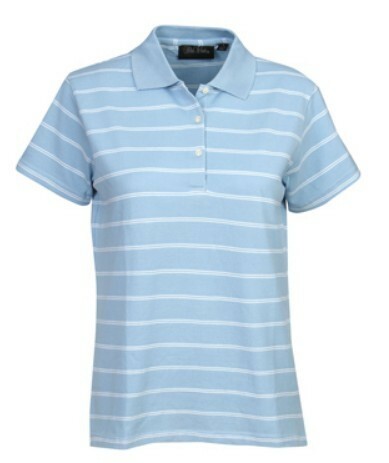 To counterbalance the effects of heightened temperatures, this ladies top is reinforced with moisture absorbance for optimized comfort. 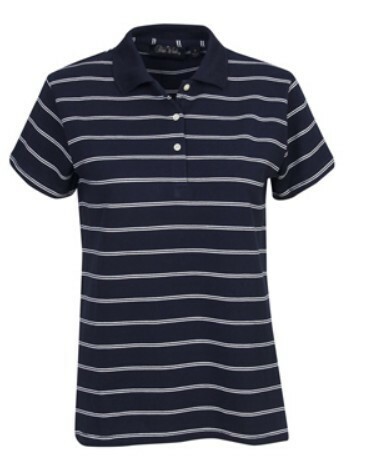 This shirt can be integrated into a number of different outfits considering its broad range of colors, including white and navy blue, sky blue and white, red and white, kiwi and white, as well as navy blue and white. This shirt can be washed safely in a washing machine, while retaining its resilience and vibrancy. 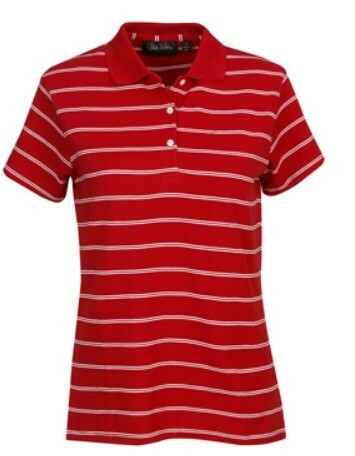 The short sleeves provide a range of arm motion, along with maximal body comfort. 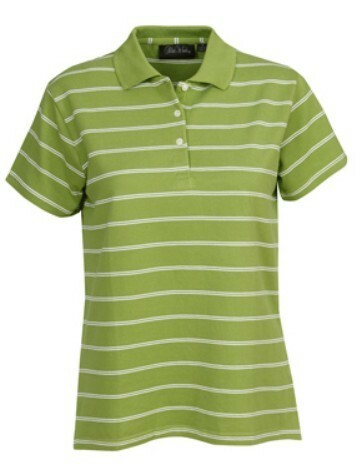 The collar, buttons and cuffed sleeves provide an added element of flare and professionalism. Heat transfer, embroidery and screen print customization options are also available. 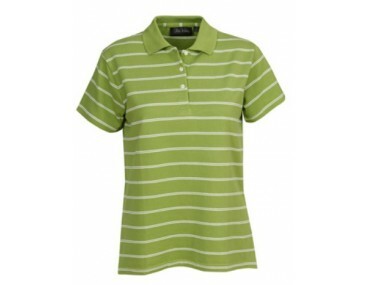 The price for this shirt include 1 colour print for your logo in 1 position or embroidery where available. This garment is made with: Pure 100% cotton | 220gsm. Size guide measurement: Half chest (CM): xs- 49.5, s- 52, m- 55, l- 58, xl- 61, xxl- 64, 3xl- 67.